The Grin Empire Rises. Toy Tokyo will release the brand-new Dark Star Grin from Ron English. The all-black figure—with gold bling—features what might be the most stylized ‘grin’ treatment of his vinyl grin toys. The skeletal treatment goes beyond the smile and extends to the entire face with Ron’s hollowed out stars for eyes. The grin wraps to the contours of the Lord of the Sith’s helmet. 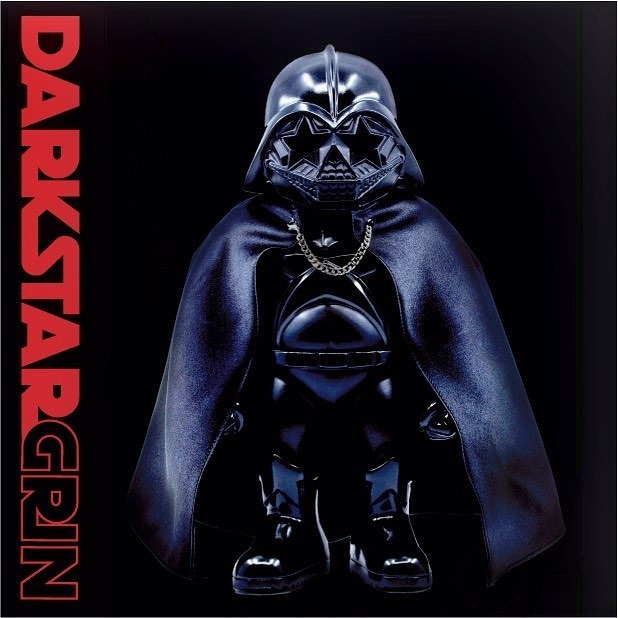 Dark Star Grin will be available at the Toy Tokyo booth [#100]. This shiny black color is so craving.